Search for answers, improve parenting skills, and build community through practical Christ-centered discussion and shared experience. A guest “expert” is invited to each meeting to provide information and wisdom on the month’s topic. The casual, genuine atmosphere of this group is a refreshing pairing with the significance of the discussion. For more information, contact Wood and Emmy Parker at emelieparker@gmail.com. What is the Purpose of The Gospel Project? What is the intended outcome of The Gospel Project? Help people grasp the grand story of the Bible by tracing major themes and essential doctrines throughout all of Scripture. Help people understand and apply the gospel of Jesus Christ by exploring implications for life in every session. Help move people to mission by demonstrating proper responses to what God has done for us in Christ. For more information about The Gospel Project, check out their website here, or see the video below for an introduction to the curriculum. If you have any questions or would like any more information, feel free to contact Interim Student Ministries Senior Manager Michelle Rahal. 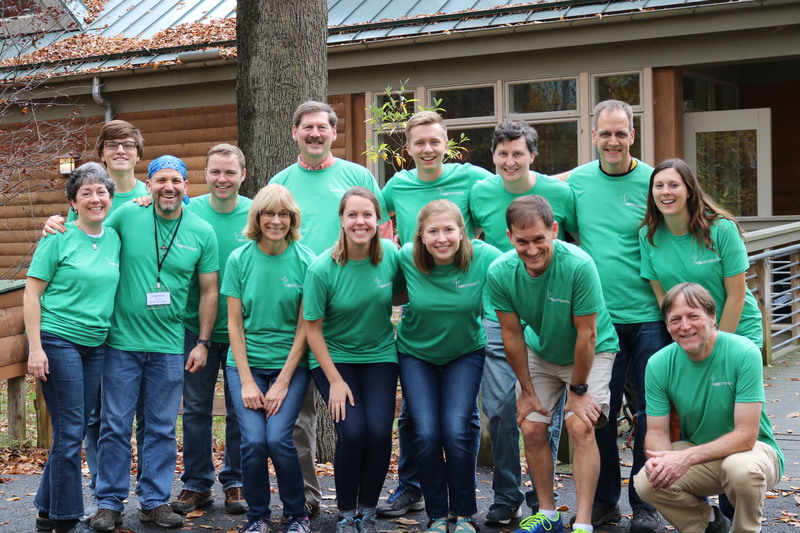 Fall Retreat 2017: Our Team of Adult Leaders! Make a difference in a teen’s life and see the difference it makes in yours! Student Ministry: Research shows that young people who have significant relationships with adults in their church community are far more likely to develop a lifelong faith. We are looking for followers of Jesus who want to join us in partnering with parents to pass the baton of faith on to the next generation. Possible roles include small group leadership on Sunday nights, discussion facilitation on Sunday mornings, various hospitality and behind-the-scenes roles, and more! If you are excited about investing in the lives of our middle and high school students, please contact Interim Student Ministries Senior Manager Michelle Rahal.